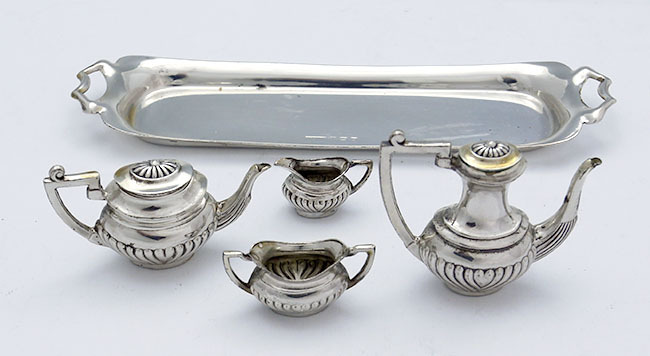 A five piece English sterling silver tea set on a tray composed of a tea pot, coffee pot, sugar and creamer and a handled tray. 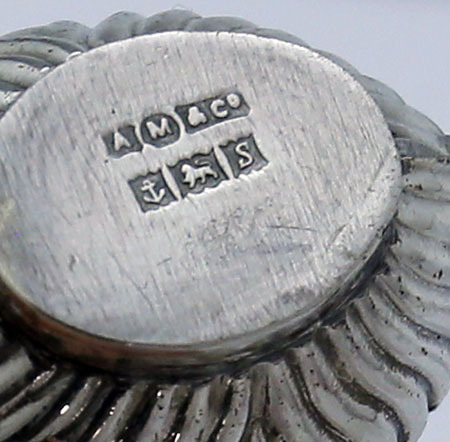 Dated Birmingham, 1967, maker A. Marston & Co. 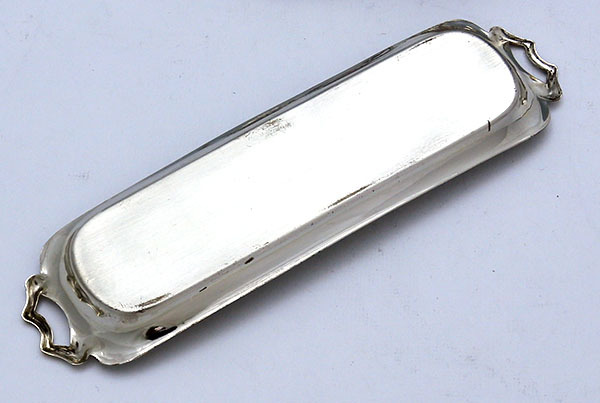 Length tray 5 3/4" by 1 1/2"; height coffee pot 1 1/2"; total weight 2.05 troy oz.